We sadly hear so many reports of beloved Defenders being stolen from all over the country. 36 or 48 Spline Quick Release Boss. A slimline boss to fit directly to your Landrover steering column, without the need for multiple bosses to be used. Manufactured by Optimill to the highest standard, hard anodised to prevent wear and designed to give an extra level of security to your vehicle. The slimline boss is just 42mm in depth, meaning it is only 10mm thicker than our original slimline boss. The boss is designed to fit Momo steering wheels, or wheels with 6 holes on a 70mm PCD. 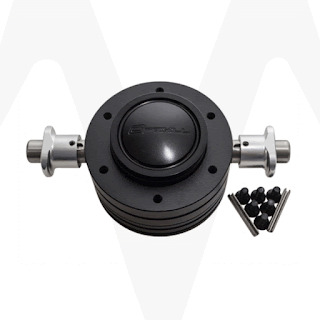 Momo horn buttons will no longer be able to be used as the boss is so slim, therefore an Optimal cap is supplied along with screws and pins for installation. Please note: This boss has 2 locking pins which are used to separate the boss. These must NEVER be pulled open whilst driving. This is designed as a removable product and it is the drivers responsibility to ensure it is fitted correctly and in full working order before attempting to drive the vehicle. 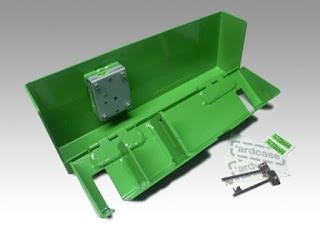 Simple yet effective, the 'ardcase is a security device that securely encases the pedals of your Land Rover Defender to deter and prevent theft of your vehicle. Impervious to prolonged attack from drills, crowbars and grinders, the 'ardcase offers a supremely tough level of security at an affordable price. Available for all 200Tdi, 300Tdi, Td5 & 'Puma' Tdci RHD Defender Models and Td5 and 'Puma',Tdci LHD Defender models. Suitable for all Right hand drive Defenders up to Td5 models without Air-Con. The X-Defend Pedal Lock, like all the other pedal locking products, prevents the clutch, brake and throttle pedal from being operated, making a vehicle quite hard to drive! 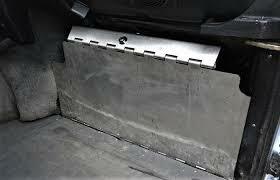 Unlike all the others, this remains bolted to the floor of the vehicle. When not in use, it folds flat on the floor and seat box, forming the floor of the cab.In this position it can be covered with your usual floor mat. This means you dont have to store a 20kg lump of metal which could be lethal if it hit you in the event of an RTA or while off roading. It also means that locking is incredibly quick. Just release the catch which holds it against the seat box and slam it against the pedals. A 10mm thick steel claw grabs the brake pedal shaft and ratchets in tight against it. It can be locked in a couple of seconds! To unlock you turn the key which releases the pedal and fold flat on the floor. The Pedal lock is supplied in tough, corrosion proof 304 Stainless steel and uses formed hinges with a 6mm stainless pin. Stainless is one of the most difficult materials to cut with a disk cutter. It took 4 disks to cut one in half! Like our other products it is supplied with an anti-drill, British Made Lowe & Fletcher RPT Lock. NOTE: This does NOT fit Series or Tdci / TD4 / Puma Defenders. Because not all Defenders are the same and build tolerances are at best acceptable it may be necessary to either relocate the bonnet pull bracket (you can drill out the spot welds and re-attach with pop rivets) or better still replace with the later TD5 type bonnet pull. We have discovered that because Land Rover had no set place to fit the early type bracket it sometimes fouls the pedal lock. Over 15 years now separates us from those early days. Almost two decades of servicing, repairing, restoring and modifying Land Rovers and Range Rovers for all kinds of uses, from the basic school run to international competitions. The back of the Defender eventually turned into a small store in Chapel Lane, Cove. We were still mobile but our costumers could now visit us to buy parts and accessories. It was such a success that we had to move a year later to keep up with the demand. Challenger 4x4 is now located in Tongham, Surrey, in a 3900ft2 industrial building complete with workshop, offices and a store, that allows us to offer more services for our costumers. From restoring classic Land Rovers, to diagnosing faults on new models, from repairing breakages to preparing vehicles for expeditions or competitions, we do it all. State of the art equipment and tools, qualified personnel, a sizable warehouse and even our own custom fabrication unit ensures we can easily and quickly satisfy any request from any Land Rover or Range Rover owner. And we are still moving on... You can now search for all the parts and accessories on our online shop. Every day we add more and more products to it, making it one of the most comprehensive resources for Land Rover and Range Rover parts and accessories online. We are often asked what is the secret for our success. It's easy: We love what we do. You see, all of us at Challenger 4x4 are Land Rover owners and enthusiasts. So fixing or modifying your Land Rover or Range Rover is not just work for us, it is something we actually enjoy doing. 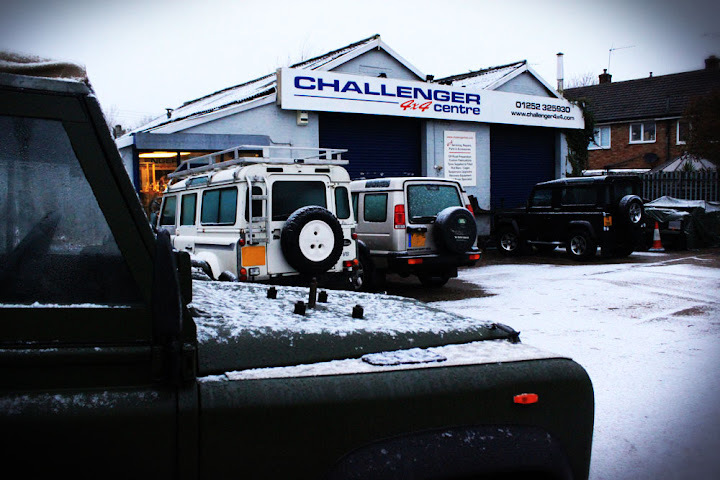 At Challenger 4x4 we provide a wide range of services for new, classic or modified Land Rovers and Range Rovers. from the more road going models to highly modified competition vehicles.